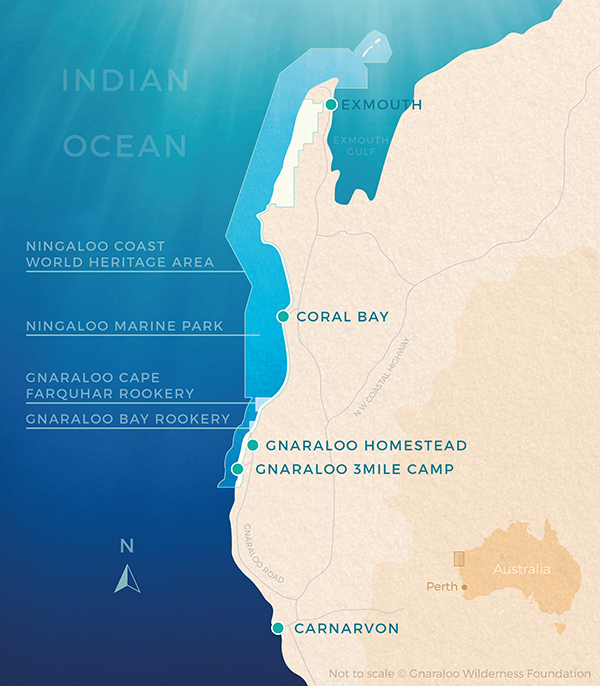 Gnaraloo is located approximately 1,100 km north of Perth, WA, adjacent to the Ningaloo Marine Park, the Ningaloo Coast World Heritage Area and Ningaloo National Heritage Listed Area. 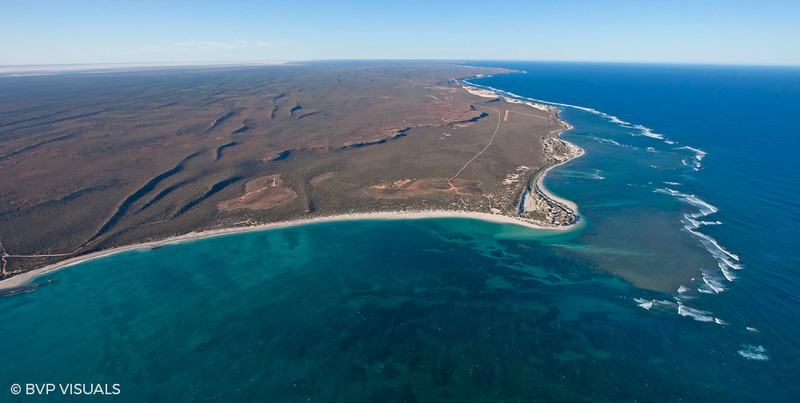 It features 65 km of coastline located on the southern end of the Ningaloo Reef. This includes four Marine Sanctuary Zones (Turtles, 3Mile Lagoon, Gnaraloo Bay and Gnaraloo Cape Farquhar), as well as remote beaches where sea turtle nesting is known to occur. 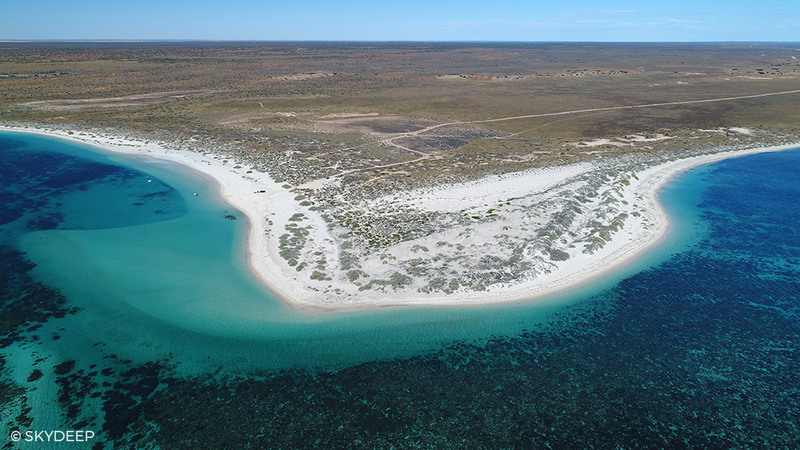 Gnaraloo is a rare and unique area as it falls within or immediately buffers a world heritage area, a national heritage area and an inland wetland of international importance. Gnaraloo comprises a number of unique landscapes. Explore our wetlands, scrublands and coastal areas on our interactive map.